As nuclear tensions increase following North Korea’s most recent missile test, young academics, policy analysts and activists from around the world released an appeal calling on world leaders to reduce the risks of nuclear weapons being used and to support United Nations initiatives for nuclear disarmament, including the High-Level Conference on Nuclear Disarmament to take place in 2018. 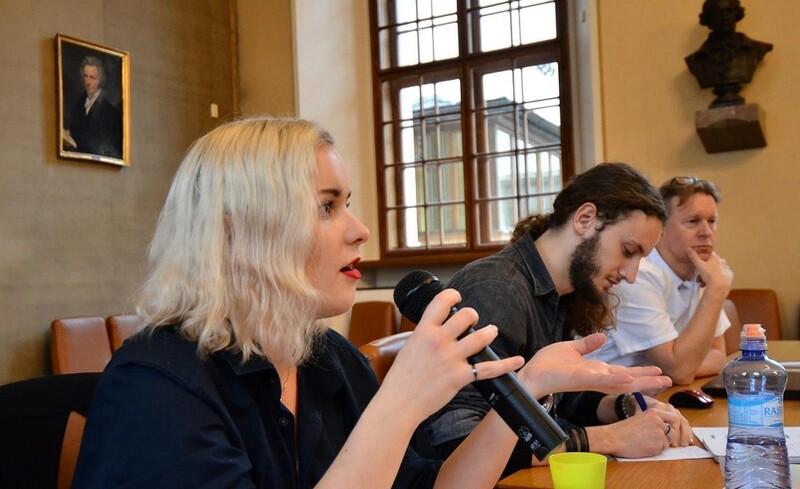 The appeal – Reach High for a Nuclear-Weapons-Free World – was adopted at the conclusion of a three-day conference held at Charles University in Prague from Nov 27-29, 2017. The conference was organised by the Abolition 2000 Youth Network and co-sponsored by the Basel Peace Office, Parliamentarians for Nuclear Nonproliferation and Disarmament (PNND), Prague Vision Institute for Sustainable Security, Centre for Security Policy at Charles University (SBP) and UNFOLD ZERO. It included participants from Austria, Belgium, Canada, Chile, Czech Republic, France, Germany, Italy, Japan, Kazakhstan, New Zealand, Portugal, Russia, Switzerland, United Arab Emirates, United Kingdom and the United States. 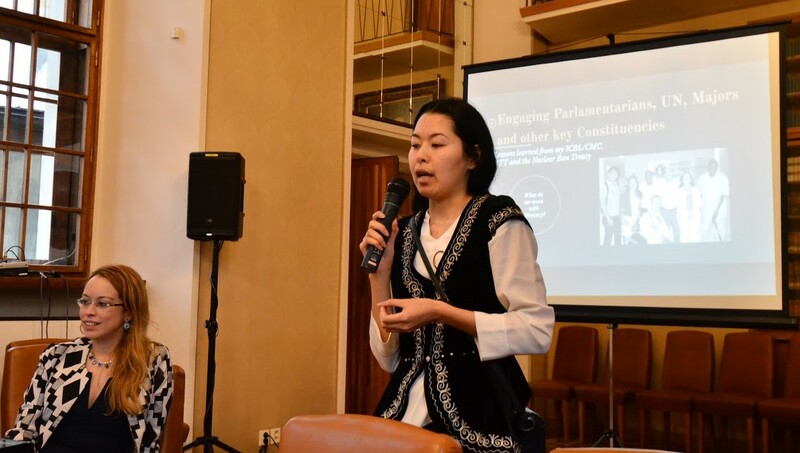 ‘Any use of nuclear weapons regardless of which country uses them, would cause catastrophic health, economic and environmental consequences that would last for generations,’ says Marzhan Nurzhan, Convener of the Youth Network and a citizen of Kazakhstan which was devastated by Soviet nuclear tests during the Cold War. The appeal calls specifically on the nuclear armed States – including United States and North Korea – to pledge never to be the first to use nuclear weapons, as well as to ensure that all nuclear weapons systems are taken off high-readiness to use, and to commit to negotiations on phased nuclear disarmament. The youth appeal calls on all governments to attend the 2018 UN High-Level Conference on Nuclear Disarmament at the highest level (Prime Minister, President, Foreign Minister or Minister for Disarmament), in order to be able to make concrete progress on nuclear-risk reduction and disarmament. The appeal also calls on non-nuclear countries to sign the new Treaty on the Prohibition of Nuclear Weapons, which provides for a complete prohibition of nuclear weapons by those countries that sign. 53 countries have so far signed the treaty. The appeal puts forward the objective of 100 countries signing by the end of the High-Level Conference. The appeal also calls for the $100 billion nuclear weapons budget (most of which is spent on the US nuclear arsenal) to be slashed, and the funds to instead by allocated to climate protection, implementing the sustainable development goals, and for other social and economic needs. ‘High nuclear weapons budgets have created a self-perpetuating cycle, where the corporations manufacturing the weapons have a vested interested in maintaining the nuclear-arms race, and workers in the nuclear weapons factories have an interest in keeping their jobs,’ says Bethan Edwards, PNND researcher and conference speaker. Bethan Edwards speaking at the conference. On her left is Calvin Konig who also spoke on economic aspects of the nuclear arms race. The appeal recognizes that a large number of countries still rely on nuclear deterrence as part of their security doctrine, but affirms that these countries are legally obliged to achieve nuclear disarmament. 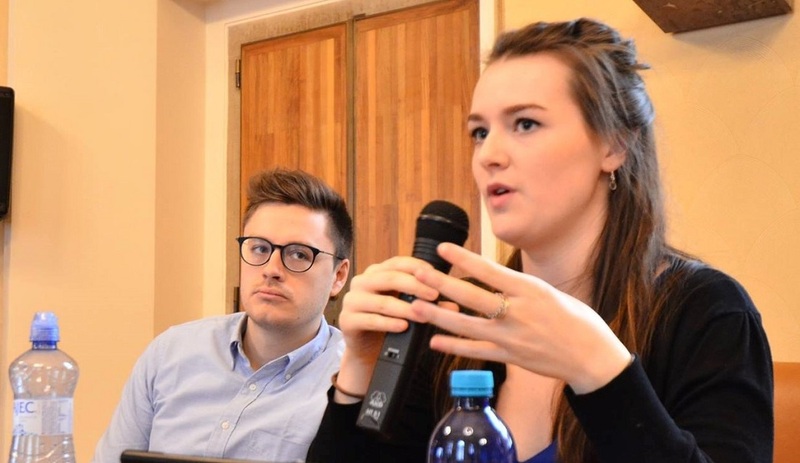 ‘We call on nuclear-reliant countries to fulfill that obligation, while maintaining their security, by replacing nuclear deterrence with common security approaches and international law,’ says Kristýna Chyňavová, a law student at Charles University and a participant in the conference. ‘The Hibakusha (survivors of the Hiroshima and Nagasaki nuclear bombings) have been appealing for the abolition of nuclear weapons in their lifetime,’ says Kanau Kobayashi a Japanese university student who helped organize the conference. 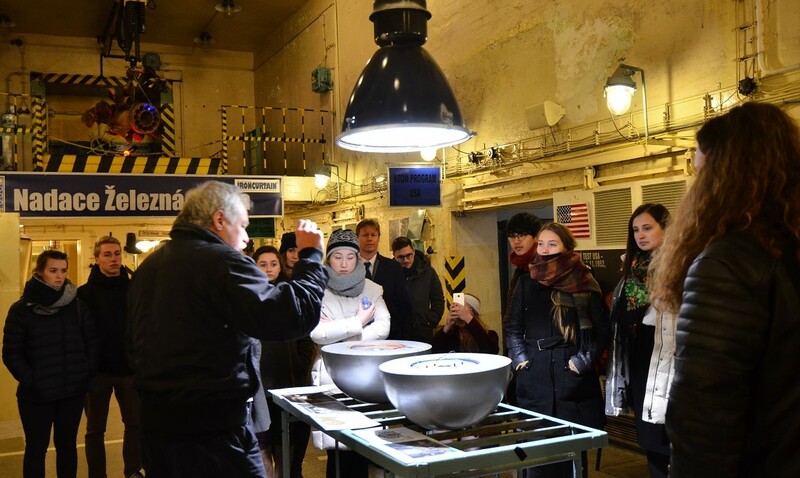 The conference included a field trip to the Atom Muzeum, a former nuclear weapons depot in the forest of Misov, approximately one hour drive from Prague. The nuclear weapons depot, a massive underground cement bunker, was ordered by the Soviet leadership under Nikita Khrushchev, and built in the mid to late 1960s. It was one of three such places in the former Czechoslovakia, and a dozen across Soviet Warsaw Pact allies, but the only one believed still to be intact. “This was the most secret place in Czechoslovakia. No Czechs had access there,” says Vaclav Vitovec, head of the Iron Curtain Foundation that operates the muzeum. The depot includes a number of rooms with the remains of equipment, from loading cranes to helium and vacuum pumps used to maintain the warheads, a diesel engine, gas masks, air filters and various tools. There are also exhibitions on the nuclear arms race between the United States and the Soviet Union, the communist occupation of Czech Republic, and the impact of nuclear tests undertaken by the nuclear powers. Vaclav Vitovec, at the Atom Muzeum, explaining how a nuclear bomb works to participants of the conference. The conference participants discussed a range of social media actions to raise awareness and engage public in nuclear disarmament. One of these is the #3dNukeMissile. This is a painting of a missile which looks three-dimensional when photographed from a certain angle. Members of the public are invited to have their photo taken while standing on or holding the chains to stop the missile being launched. The conference also included a special screening of the movie ‘Where the Wind Blew’. This 72-minute documentary, tells the stories of populations in Kazakhstan and the United States who continue to suffer from the trans-generational impact of nuclear tests, conducted by the Cold War super powers, and the successful struggles of these peoples to end nuclear tests in their countries. The film serves as a timely reminder of lessons learned about the impact of nuclear weapons; lessons that warrant renewed attention in light of the current state of world affairs where the threat of nuclear weapons use – by accident, miscalculation or intent – has returned.